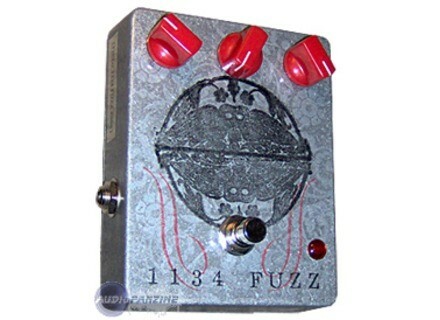 1134 Fuzz Pedal, Fuzz pedal from FuzzHugger (fx). 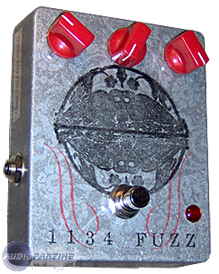 FH(fx) released the 1134, a multi-textured fuzz. The pedal can be purchased at FuzzHugger.com (also a dealer for Diamond Skeleton, Mellowtone, Pro Tone, Devi Ever, and Smallsound/Bigsound). Gain Trim: From a "growl" to "absolutely blistering" when fully opened up (when it's maxed out, you're in humbucker-only territory, according to FH(fx)). Texture: Lets you control the texture of the fuzz. At full gain, hard left is "blistery" and hard right is "splattery." With the Gain Trim backed off, you can manipulate the Texture knob for different fuzz and overdrive flavors (slight scratch as circuit rebiases). Level: Your master volume control. Gain Trim, Texture, and Level controls. Finish: smooth gloss top, satin brushed sides. 9v negative tip adapter power (No batteries). For more information, visit www.fuzzhugger.com. [NAMM] Gretsch G6120DSW-R From the Gretsch Custom Shop comes the G6120DSW-R Chet Atkins 1955 Relic. [NAMM] Gretsch G6118TLH-125 Anniversary In celebration of the 125th Anniversary of the Gretsch Company, a special instrument was created. [NAMM] TC Electronic G Major 2 TC Electronic announced G-Major 2, with effects ranging from delays, reverbs and modulation with Tri-chorus, through-zero-flanger, modulated delays and Univibe.